Potassium is able to form a union with tartaric acid, forming potassium bitartrate. When reaching a certain concentration of potassium bitartrate it is possible that it precipitates, which leads to a decrease in total acidity and an increase in the pH of the wine. All this has a negative effect on the organoleptic properties of the final product. The K-Vi analysis system allows the direct measurement of the exact concentration of potassium, this giving rise to rapid analysis and greater reliability. K-Vi is based on the selective electrode potentiometric technique, simple and effective, capable of performing analysis in a few seconds simply with a quick calibration, such as pH measurement. K-Vi is the fastest and most accurate tool in the market for measuring potassium and pH in wine thanks to the exclusive patented NT Sensors technology of carbon nanotubes. 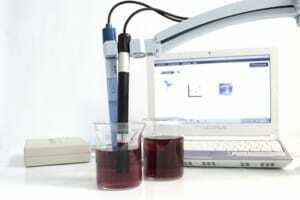 Preparation of the sample Wine aliquot (5 ml) is taken and is made 1/4. Electrode calibration 2-point sensor calibration is calibrated, following the software instructions. Wine contains different dissolved salts, especially salts of potassium, calcium, iron and copper, among others. These elements may give rise to instability phenomena, but the most important is due to potassium cation. It is capable of forming a bond with tartaric acid to form potassium bitartrate. Upon reaching a predetermined concentration of potassium bitartrate may precipitate, which leads to a decrease of the total acidity and a slight increase of the pH of wine. Tartaric stability of wine remains one of the major problems that can affect your marketing. 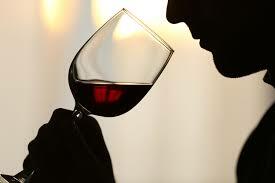 The consumer demand can taste wines that are biologically and chemically stable. For this reason, it is essential to monitor the level of potassium in the wine, so know the levels bitartrate and avoid unwanted precipitation. The most commonly used for controlling the precipitation such as potassium bitartrate and its technique is the measurement of the electrical conductivity. This technique measures the total ion content in an aqueous sample, not be able to distinguish each type of ion, leading to low reliability measures. Analysis system K-Vi allows direct measurement of the exact amount of potassium, thereby resulting in a faster and more reliable analysis. The K-Vi system is based on selective electrode potentiometric technique, simple and efficient, capable of performing analysis in just a few seconds with a quick calibration and pH measurement technique.